I've heard much about how coconut oil can kill flu virus. But when flu attacked me, I didn't know exactly how to fight back with coconut oil at first. I then tried taking various amount of coconut oil. And in the meantime, carried out some measures to supplement and complement my flu treatment with coconut oil whenever it hit me. I also experimented the oil's effect on my wife when she's down with flu. She's more prone to flu attack. "Thanks" to her work environment that is so densely populated with viruses, bacteria and other germs that I have the "honor" to perform several reality experiments. Scratchy sore throat that makes you swallow even saliva painful, let alone enjoying your food. Loss of voice that makes you totally "speechless". You can't talk back when you need to. Runny nose that causes mucus to flow out like a running tap. Congested nose that forces you to breathe through your mouth like a fish. Rib-breaking cough that makes you lose your sleep, every night. Burning fever that triggers splitting headaches and makes you feel dizzy and weak, and shiver with cold for hours. Constipation may come along too. If you get sneezy nose first, chances are you've been attacked by bacteria. These bacteria may drain your immunity that causes you to become more prone to flu infection. Which is why some people may begin with sneezy nose followed by throat infection then to runny nose and cough, or sneezy nose to runny nose and straight to cough bypassing throat infection. To top it off, you won't need medication that makes you feel drowsy and spiritless all day long. Plus, you won't have to suffer the terrible side- and after-effects of medication. These are the benefits of using coconut oil to treat your flu. Also, it largely depends on how weak your immunity has become after the viral attack and how much coconut oil you're taking as well as how far you're willing to go to get your flu cured. It generally takes about 5–7 days to wipe out flu viruses with coconut oil and get your immunity back up to its self-defense state (you can sense its return). But you'll need an extra few days to completely recover as healing of inflamed tissues (especially the airway wall) normally takes a bit longer. And it gets draggy if you have a slow metabolism. What matters most is that during the treatment, you can still enjoy your food without painful swallow, your voice may change but at least you can still speak loud and clear, you can still smell and taste delicious food, you'll still sleep well and you can still perform your job and go shopping as per normal... when you follow my lead. Here are the things you should do if you want to cure your flu without suffering from severe flu symptoms. You have to be extremely sharp at sensing the onset of flu symptoms signaled by your body. It usually begins with an irritating dry throat (sometimes it could happen near the upper throat). And you thought it's a sign of thirst. So you start drinking lots of water. But the dryness just won't go away. Chances are, you've been attacked by the notorious influenza viruses! So, the false sign of thirst is the onset of flu symptoms. But sometimes the dryness may be too subtle for you to notice. It may also accompany with some "heaty" sensation (in the throat) which shows your body is very acidic. Another way that may trigger the onset of flu is the growth of ulcer on or somewhere near your soft palate. That's because this is the sore spot that often inflames and encourages flu infection. The ulcer may stick around but be hidden from sight. Even if there's no flu infection, the ever-spreading inflammation effected by the ulcer alone can take you through the unwelcome flu symptoms. What causes the growth of mouth ulcer, by the way? An acidic body. You'll soon learn how to alkalize your body and reverse the growth of mouth ulcer. Anyway, listen closely to your body and look out for those telltale signs. This is extremely crucial because if you can catch the signs earlier, it'll be easier to strike the viruses at this point before they run wild and multiply ferociously since at the onset of symptoms the viruses are still weak and in minimal quantity and hence, of less threat. If you don't fight the viruses as early as you can and let the symptom advances to sore throat, you won't be able to enjoy your food and swallow them without pain like you used to. Also, you won't be able to sleep well as the pain may wake you up several times in the middle of the night when you swallow saliva. But that's not the worst! Have you ever gone through a cough that lasts for an entire month and when you cough, you feel an extreme sharp pain in your ribs? That's the "red alert" signal of inflamed muscle tissues between ribs. Your rib bone may even break if your terrible cough persists. I've been there and I lost my sleep throughout that month. And I suspected my ribs have broken. But I was considered lucky because some people have had their lungs infected or even kidney damaged from persistent cough. Brain damage may even occur if coughing goes extreme. What I'm trying to tell you is that, the last flu symptom you would ever want to deal with is cough, not sore throat. Sore throat will eventually subside after few days when you're cautious about what you eat even without the help of coconut oil. But cough is the real killer. It can climb up to the devastating level and the recovery is often slow and draggy. No other flu symptoms can turn out as lethally destructive as cough. So, don't take the early symptoms lightly. Treat it as an emergency and take action immediately before the flu viruses break out and start wrecking your body like hell. Virgin coconut oil packs a complete set of antimicrobials in it, consisting of mainly lauric acid (40–50%), capric acid (5–6%), caprylic acid (6–7.5%) and others. Lauric acid possesses the strongest antiviral prowess of all the virus-fighting components. Hence, choose virgin coconut oil for your flu treatment. Virgin coconut oil kills flu very effectively. Being organic helps you recover from flu faster. Storing in glass keeps you away from plastic leaching risk. However, if you really can't stand its natural coconut scent (one of the disadvantages of virgin coconut oil), use RBD coconut oil instead. It's odorless but yet contains ALMOST as much antimicrobials as virgin coconut oil. What's even better is that unlike many other refined coconut oils, RBD coconut oil does not have a smoky stench or funny smell. No matter how good a refined coconut oil is, its antimicrobial properties can never be on a par with those in virgin coconut oil. But if you find hard to accept virgin coconut oil, then the next best option would be RBD coconut oil. Processed from dried coconut meat that turns yellow upon drying due to presence of minerals, RBD coconut oil looks yellowish in liquid state. Such slight discoloration is normal. Not a sign of low quality. Once you have detected the onset of flu symptoms and got yourself virgin or RBD coconut oil, follow these guidelines. But you're free to tweak and fine-tune the amount and dosage of coconut oil to suit your preference, body condition and lifestyle. Take 1 tablespoon every 2 hours while you're awake. Mix it with some beverages (like juice, smoothies, soy milk, almond milk, rice milk etc) where possible. This will make it easier for you to swallow coconut oil. As you need to consume every 2 hours, you don't need a big glass of beverage or it'll make you too full to take coconut oil later on. For example, add coconut oil to probably 100 ml of almond milk and stir well and then gulp the mixture down and you're done. If you prefer to mix with food, go ahead. But make sure the food is in small amount so that you can continue to bring in coconut oil to fight flu throughout the day. And you won't gain weight easily too. By eating so much coconut oil on the first day, the flu symptoms may subside dramatically or even vanish within a day. But if you feel that's too much and too frequent for you especially when you've gotten some side effects from coconut oil, you can reduce to taking 1/2 tablespoon every 3 hours. Or, at least take 3 tablespoons per day, every day and spread out the amount like this – 1 Tbsp added to breakfast, 1 to lunch and 1 to dinner. Your antibodies are essentially outnumbered, so you need at least that amount of coconut oil to step up your immunity. However, if you feel you can increase to 4 tablespoons or even more, by all means. But make sure you spread out the amount. Taking 3 or 4 tablespoons (or even just 2 Tbsps) in one sitting may make you feel nauseous or cause some peculiar reaction in your stomach. This is because coconut oil increases metabolism and expels toxins (detox). Detox is good no doubt, but it may appear too strong for some people (especially the seniors) to take it. So, it's best to spread out the doses. Take 2 tablespoons per day like this – introduce 1 Tbsp to your breakfast, the other to your dinner. Although coconut oil tends to cause diarrhea on first-timers (because your body system has yet to adapt to its detox effect), as the medium-chain fatty acids (MCFAs) in the oil that fight flu viruses are the same as those that loosen your bowels, you should not feel the runs easily since most of the MCFAs are busy fighting and killing flu viruses, leaving very little behind to loosen your bowels. Please note that because you're taking only 2 tablespoons per day, the flu-fighting power won't be as strong as when you take 3 tablespoons. However, to be on the safe side, consume only 2 tablespoons (with your meals) each day for the first 2 days and leave at least a 9-hour interval between each intake. And then observe your body for any unusual reaction. If you feel okay with your stomach (no pain, no diarrhea-like symptom) and you don't feel nauseous at all, you're safe and move on to increasing the dosage to 3 tablespoons per day after that, like this – 1 Tbsp with breakfast, 1 with lunch and 1 with dinner. And stick to just 3 tablespoons daily until your flu is completely cured. That's my recommendation for first-timers. But if you're desperate and you want to get right into 3 or 4 tablespoons on the first day, by all means. Be sure to keep a watchful eye on your body's reactions. If you sense something is wrong, reduce or even stop your coconut oil intake. When our body is concentrating most of its resources on fighting flu, food digestion will become weaker and thus slower, and intestinal walls will not be as sensitive as they used to even though we eat lots of fiber and drink adequate water to create the bulk for stimulating bowel movement. To make matters worse, when your body raises its temperature in an attempt to kill the viruses or bacteria that have infected your body, more fluid is lost through heat dissipation. Hence, we tend to feel a little constipated during flu infection. If you take meat and other animal-based foods, your constipation can get worse during flu. So, I suggest that you take more soft but nutrient-dense and fiber-rich meals during this flu-fighting period. Hold a tablespoon of coconut oil in your mouth and swish and gargle for 15–20 minutes. By itself, coconut oil cannot kill flu. It's only when it reacts with the enzymes in our saliva (or in our stomach) that free up the fatty acids in coconut oil and make them the virus killer. And not just flu viruses, harmful bacteria are "scared" of coconut oil too. Our mouth contains also other bacteria that can weaken your immune system and make your flu symptoms worse. So, rinsing your mouth with coconut oil will definitely improve your flu symptoms (especially sore throat and runny nose). Do at least once in the morning and once at night before bed. But remember, after gargling and swishing coconut oil inside your mouth, don't swallow it because there will be thousands of "dead bodies" left (after bacteria and viruses are killed) and loads of smelly toxins (released by bacteria when they die) within the content. Spit it all out. But if you happen to swallow a bit by accident, don't worry, that won't kill you. You can skip this step if swishing oil in your mouth disgusts you. But you'll heal relatively slower unless you perform extremely well in the following few points. Flu infection begins inside your mouth. And if you compromise on your oral hygiene, it can further develop into flu complications such as sinus infections, bronchitis, pneumonia or even heart attacks. Therefore, keep the bacterial count in your mouth as minimal as possible by brushing your teeth well (for at least 3–5 minutes) before and after sleep. Remember to brush your tongue as well because the thin white coating (developed as a result of post food consumption) on your tongue is food for bacteria inside your mouth. As important as oral hygiene, keep your hands germ-free with frequent washing. Did you know that flu viruses thrive in an acidic body? When your body turns acidic, it means that you have taken in too much acid-forming substances that cause the pH level of your blood to drop from its usual slightly-alkaline (pH of 7.35–7.45) state. When this occurs, your body system will attempt with all its might to purge the acidic components via your lungs and kidneys. At the same time, it'll pull the alkaline resources from your body or food intake to help elevate the pH value back to its performing level. Why is this regulation of blood pH so important? As red blood cells carry oxygen to other cells in your body, an acidic blood can cause red blood cells to clump together and paralyze the delivery of oxygen. When oxygen fails to reach those cells (trillions of them) in hour of need, you will die. That explains why our body needs to constantly maintain its blood pH at its functional range. However, frequent and resource-intensive lifting of your blood pH can vastly deplete the nutritional resources in your body. This will stress out your system over time and drastically weaken the functions of your key organs like spleen and liver that in turn, cause your immunity to nose-dive as a result. When your immune system is compromised, it cannot produce sufficient antibodies in time to fight any pernicious intruders. This is where flu viruses start to thrive and colonize. Depletion of alkaline resources also causes your mucus and phlegm to become more viscous than usual due to the molecules clustering densely together. Hence, to drive flu away and keep it at bay you have to alkalize your body. How? Quit smoking if you're a smoker. Smoking imports countless free radicals into your body that damage your pH balance. A smoker's blood tends to turn acidic easily and that's why they're so much prone to flu infection. And when flu attacks them, they feel very much terrible and take very much longer to heal. Even if you're a non-smoker, avoid second-hand smoke. Inhaling second-hand smoke may damage your pH balance even more since you don't know how to breathe out some portion of the smoke. Avoid alcohol because it increases your blood acidity level. Avoid all kinds of animal meat (including fish, crabs and other sea animals). Meat carries toxins and leaves behind tons of acidic ashes after digestion, which cause a meat-eater's body to be super acidic as a whole (see the pH scale above). That explains why flu and many other viruses and bacteria "favor" meat-eaters. They fall sick very easily. In short, avoid anything that makes your body acidic so as to minimize the depletion of essential nutrients your body would need for building a powerful army of flu fighters. Eat more dark leafy greens like Swiss chard, collard greens, arugula, baby spinach, kale and broccoli etc. These greens are packed with antioxidants, vitamins and especially minerals (such as calcium, potassium, sodium and magnesium etc) that can alkalize your body exceptionally fast. The easiest way to obtain most of their nutrients is to blend them into green smoothies. Eat them raw rather than cooked to reap as much nutrients as you can (heating can destroy certain percentage of nutrients). If you find it troublesome to buy so much greens and blend them into smoothies, then try this green superfood powder, which provides a convenient way to alkalize your body in less than a minute. Crafted with 7 alkalizing farm fresh greens and loaded with antioxidants, this powerhouse will alkalize your body super fast and fix your damaged cells quickly by neutralizing the rampant free radicals. To speed things up, dilute a teaspoon of apple cider vinegar with 200 ml of water and drink it right before an alkaline meal. If you find it too sour for you, add some more water. If you have gastric issue, sip it bit by bit during the meal to mellow its effect on your gastric. Taking apple cider vinegar improves your body's ability to absorb nutrients. This can help you get more out of your dark leafy greens or superfood powder. Make sure you choose one that is organic and raw, and contains the Mother culture in it, which are what make the apple cider vinegar beneficial. Also, choose one that is stored in glass container as it has a pH 4, which is quite corrosive (plastic may leach whereas glass is non-reactive). Given its high concentration of acetic acid, this ACV can help you break down food more efficiently for greater nutrient absorption. But I got to warn you, this type of cider is super smelly. The smellier it is, the better will be its quality. If you want to heal faster, pinch your nose and drink it. As you need a variety of nutrients for recovery, consuming nuts and seeds (especially flaxseeds that carry lots of omega-3 which can help to speed up recovery) are essential. But because of their high content of unsaturated fats, eat them sparingly. On the other hand, though coconut oil contains a very small quantity of free fatty acids that make it slightly acidic, its acidity won't make you more acidic as compared to meat, carbonated drinks and others as mentioned above. Moreover, its flu-killing power far outweighs its effect on your acidity level. So, don't worry about that. Flaxseeds provide the most ALA omega-3 for conversion to DHA and EPA. Afraid not enough DHA and EPA conversion? Coconut oil improves conversion. Store ground flaxseeds in an opaque and airtight container. And keep them in fridge. These anti-oxidative measures help ground flaxseeds to maintain high levels of ALA omega-3. Flu virus not only thrives in an acidic body, but it thrives in a low-temp body too. That's why you should never expose your body to cold drinks, cold food (such as ice-cream), cold shower or air-conditioned room no matter how hot the weather is at this point where you're at high risk of getting flu or already infected. Although our body can adjust its temperature back to its norm (about 98.6 °F or 37 °C) whenever it detects a low temperature, setting your body temperature to 'Low' while drinking cold beverages, licking ice-cream, taking cold shower or staying in an air-conditioned room for even just a few minutes is long enough for influenza viruses to multiply like crazy. When taking a hot shower to help raise your body temperature to resist flu attack, make sure it's comfortably hot and not too hot that may scorch your skin. Moreover, lifting temperature back up to its functional state may use up lots of nutritional resources (just like regulating blood pH as mentioned in section 1.6) that are required for our body to fight flu. So, keep cold stuff away at all costs. Taking multiple small meals can help relieve your digestive load since as said earlier, your digestive system won't be able to run at its best now. Burdening your digestive system can further weaken your immunity. To give you an idea of "small meal", keep your satiety between 60 and 70%. This helps you avoid feeling too full and clumsy but yet at the same time, avoid getting hungry easily. Even when you've healed, you should never exceed 70%, which is the ideal satiety to maintain optimal immunity. If you're consuming coconut oil every 2 hours to fight flu, then you don't have to stick to the 60–70% satiety rule. Chew well to aid in digestion. But be careful of your mastication because sometimes you might accidentally bite your lips, tongue or the inside of your cheek while chewing food. This causes open wound in your mouth. Open wound can easily get exposed to both bacteria and virus attacks and then develop into ulcers or something more complicated, which can aggravate your flu condition. Choking on food or drink can cause injury to your throat too. Speaking of wound or injury, steaming hot food or beverages may scorch your skin and damage your tongue or other parts inside your mouth too. Therefore, make sure you wait till the food or drink turns less hot before you consume. Don't blow on hot food or drink because the carbon dioxide (CO2) that you blow out will react with the steam vapor (H2O) to form carbonic acid (H2CO3), which then falls back onto the food or drink. When you consume the food or drink that is tainted with carbonic acid, they increase your blood acidity level. Use fan to cool your hot food or drink. If you love chili, I know it's going to be tough to ask you not to eat it. But if you don't want your sore throat to aggravate, you don't want your runny nose to expel mucus out like mini waterfall, you don't want to cough your lungs up, chili is a no-no until your flu is completely cured. Though chili is rich in vitamin C that can help to improve your immunity, its triggering effect on flu symptoms (due to its naturally-present irritant – capsaicin) far outweighs its benefit on your immune system. Adequate water intake can help to regulate your body temperature and reduce your discomfort when you got a fever in the event of fighting flu. It also helps to keep your blood circulation at normal rate so nutrients can timely be delivered to help rebuild and replace cells that have been damaged by flu viruses and boost your immune system. With sufficient flowing of fluid in your body, you can more easily purge toxins via sweating and bowel movements. How do you know you have adequate water intake? By observing your urine color. But do remember to add some salt to your water when you start feeling groggy or having some degree of astringency (chalky or "sandpapery" sensation) on your tongue and lips. That could be a warning to inform you that you have consumed too much water that causes your sodium level in blood to run low (i.e. hyponatremia). Speaking of salt, you can actually gargle with warm salt water to help soothe your sore throat. This simple home-made solution works by pulling out fluid (and some viruses) from the swollen tissues in your throat area. A less swollen throat means you'll be able to swallow food with less pain. Remember to spit out the solution after gargling. Avoid ALL outdoor activities as far as you can for the first 3 days. If you really need to go out for working, running errands, or especially visiting your friend or family in hospital where malicious germs are literally everywhere, put on an effective respirator mask. This way you won't infect others. And at the same time you won't get yourself further intoxicated with more free radicals, bacteria, additional flu viruses and other invisible ghoulish microbes out there. Put on this effective respirator to keep off more viruses and other pathogens, including dust, second-hand smoke and PM 2.5. It prevents your loved ones from getting infected by you too. Re-usable. On top of that, take coconut oil with you so that you can continue to fight flu wherever you go. That goes without saying, right? But how many people do that? Do you? You know what, when you overwork and your body doesn't get enough quality rest, it can't fix damaged cells timely and effectively to keep your body function normally. Result? Your body becomes exhausted and weak over time. And you become prone to flu. So, be nice to your body. Let it rest well especially during flu infection so that you can gain quicker recovery from flu since the yields of making new cells and repairing damaged cells are higher during resting or sleeping. Resting well also enables your body to get rid of acidic components more efficiently, thus restoring your pH balance and stepping up your immunity level. Of course, you can still carry out light chores at home. You can even do some simple workouts such as yoga stretching, marching in place or arm swinging to help invigorate your cells for quicker healing especially on the 4th or 5th day when you feel a lot better. But still no strenuous exercises as they'll put a strain on your body while it's busy fighting flu. You should only resume strenuous workouts when you're at least 95% recovered. Negative emotions especially anger can trigger massive production of toxins in our body. If our liver gets overloaded with these toxins, it can run into a disorder and affect its 400+ functions on us. One of the functions affected is its ability to purge acidic components for balancing pH. Moreover, toxins are corrosively acidic by nature. So, that would make your body even more acidic and alkalizing it would require more work and effort. Therefore, learn to manage your anger and cultivate peace in your mind so as to free up your liver. Easier said than done, right? Created by Dr. Steve G. Jones, a veteran clinical hynotherapist, you'll learn from his program how you can effortlessly keep off your rage. Staying emotionally calm creates a robust immune system to fight flu. Well, it takes time, honestly. I used to be super hot-tempered. But after years of learning the Way to contain my temper and finding inner peace, I realize the things that we get angry at most of the times are usually very tiny stuff. Not worth blowing your top. Really. If you step back and take an honest look at your past disputes with others, you would understand what I'm saying. Sounds like a broken record? But how many people practise that? Why let flu viruses attack you in the first place then you start taking desperate measures to drive them out? Why not stop them dead in their tracks before they even get close to you? As a matter of fact, detecting the onset of flu symptoms is not a flu prevention. It merely helps you prevent the flu viruses from inflicting further damages and spreading inflammation when you combat flu as early as possible. Actually, there's a good way to truly prevent flu. Observe for cold hands, especially when you're in a cool environment (like a mall or an office) or when you're in contact with water. That's the obvious signs of low immunity level, which means, you're NOW vulnerable to flu viruses and other harmful germs. Stress can cause your hands to turn cold too, which is why a stressful person is relatively more prone to flu. In other words, some flu viruses may have already entered your body and they're probably in their initial state of replication. Once the replication gets out of control, they'll begin to attack the weakest spot – your throat. So, don't wait till the flu viruses break out and then start to take more coconut oil and apply the measures I shared above. Even before the onset of flu symptoms, as soon as you feel your hands are cold, improve your diet by increasing your intake of greens, and at the same time, increasing your coconut oil intake plus applying the aforementioned tips from section 1.4 to 1.13 until your hands naturally return to their normal warmth when they touch water or stay in cool environment. Here's a simple tip to quickly warm up your hands anytime, anywhere – rub your hands together to create frictional heat in between. This may be just a stopgap measure, but good enough to prevent your immunity from dropping further. Another tip to help prevent a dramatic drop in your immunity is, drink a glass of water to cool yourself down a bit before dashing into an air-conditioned room or jumping into a swimming pool in a hot weather. The purpose of drinking water like that is to help reduce the drastic change to your body temperature, thereby minimizing the transitional shock your body has to undertake. And it is usually in this "shock" state that a body becomes easily susceptible to a flu or cold attack. Just like handing/taking over of duties between security guards. It's the best timing to attack. You should at all times try to reduce your exposure to more risk. These points will give you some ideas. 2.1 Are you on medication? 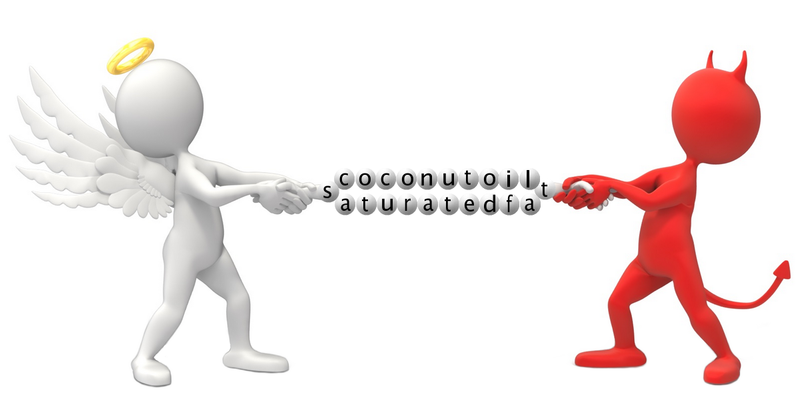 Coconut oil generally does not work against medicines. But if you're on special medication, please consult your doctor or specialist about taking coconut oil. Just to be on the safe side. It doesn't matter whether to eat coconut oil before, during or after meal. You can literally mix it with all kinds of food and beverages since coconut oil is a food itself. In other words, you can eat coconut oil on its own or add it to food. Your feeling better on the third day might make you think you can reduce the doses because you've had enough of coconut oil in the last couple of days. The first few days are the most critical because your own immune system has not fully recovered to fight the viruses alone yet. If you get carried away and let your guard down at this juncture, the viruses will seize this opportunity to multiply and break out again. Your sore throat may seem to improve when you're moving about (especially during daytime) because a warm body helps to keep virus in check. But when your body temperature drops to prep for sleep, this almost always encourages flu viruses (without fail) to insanely grow and aggravate the soreness in your throat and cause pain as a result. My point is, same as the previous point, never lower your defense against the virus when you feel the pain in your throat (or any other symptoms) subsides. Continue to keep a close watch on the symptoms and be sure to discipline yourself on what you should or shouldn't do during this sensitive period. If you're hit by cold rather than flu, though coconut oil can't kill cold viruses, it does help to get rid of other harmful microbes that gain entry into your body. This relieves stress on your immune system so that your immune system can concentrate on fighting cold viruses. In a way, coconut oil does help to fight cold, but indirectly. And because cold is generally less severe than flu, you tend to heal faster with coconut oil. Provided you begin the treatment earlier before it progresses to severe cold. Don't blow your nose too hard if it gets very runny or the mucus gets stuck inside that blocks your breathing. Blow it gently to prevent damaging the delicate structures in the nasal lining. Damaged tissues can cause unnecessary bleeding and inflammation. It can even drive harmful microbes deeper into the nasal cavity, where they can further infect the body. Or better, use an effective nasal spray to loosen your mucus and open up your airways. I don't usually recommend products that contain some form of drugs. But if you really need a solution badly to relieve your congested nose and improve your sleep quality, then this nasal spray should help you. If unfortunately, your flu symptom has already advanced to severe cough by the time you read this piece, you must understand that right now it is the inflammation and intense damage to your respiratory system (rather than the flu viruses) that cause the severe cough and vice versa. The option you should take now is to seek help from a specialist. But that doesn't mean you should not take coconut oil at all. You should instead so that it can work hand-in-hand with the prescribed medication to help your body recover faster. Even though you take more greens and whole foods, and go all out to restore your pH balance and carry out other measures, your flu won't heal as fast as it should. That's because by improving your diet and restoring your pH, you're merely strengthening the production of your antibodies to fight the viruses alone. This is never enough especially when flu viruses have already taken hold. Don't forget that free radicals will take this opportunity to strike and destroy even more cells and tissues. So, it's important to maintain your coconut oil intake throughout the flu treatment since the MCFAs are virus killers while the saturated fats in coconut oil are good at neutralizing free-radical reactions. Another good thing about taking coconut oil is that it helps relieve constipation. If constipation has always been an issue to you, you'll feel even worse off in times of flu. So, don't stop taking coconut oil until your good health returns. It may take longer to cure your flu when weather turns cold because flu viruses become particularly active in low temperature. Or when you expose yourself to polluted air. Hence, do your best to keep yourself warm and stay away from polluted environment. Eating junk food will negate the effect of coconut oil on flu treatment. Therefore, choose only wholesome and healthy food to eat. Dine in as much as possible since you'll never get to know 100% how those outside eateries handle the food, the quality of ingredients they use and their hygiene levels (you never know they might pass more viruses and bacteria to you via their food preparation). I don't have a question or anything. I just wanted to thank you for your amazing article on coconut oil and the flu. The last few days I was sick. But it was like I wasn't sick at all. I found your site when I first got the sore throat and started following all your tips and the next morning I was not as bad as I would have been. And since then it's like i don't have a full on flu. Which is great. Anyway I hope this isn't spam, I just wanted to say thanks for your article. I will continue to follow the advice in it. Do I take the coconut oil by the tablespoon while it is solid? Do I melt the coconut oil? Hello Tm, it doesn't matter whether to consume coconut oil in solid or liquid form, the flu-fighting compounds remain the same. Do beware of taking too much at one time as coconut oil might trigger diarrhea-like symptoms. This is great. I normally eat really healthy and don't get sick much, but when I do I go down hard and fast. I can feel it right @ the onset. Your advice has been great, I started flu like symptoms earlier today, started doing this and the normal things I do, had a nap and I am already feeling better than I did this afternoon. I am about to make a turmeric tea too, which I always add coconut oil too. Though turmeric contains only a few percent of curcumin, which possesses strong anti-inflammatory and antioxidative effect, it still may help expedite flu healing when combined with coconut oil. Thanks for sharing, Dayna. Hi Christa, it is the mucus that blocks your airway which triggers cough, so able to spit out mucus (actually, phlegm) can help ease your cough for the time being before the next pooling of mucus. You should in fact try to consume coconut oil so that its antiviral compounds can help you fight and kill the virus inside your body, at the same time, expedite the healing of your respiratory tract via an increase in metabolism. Anyway, thanks for sharing your experience. Looking forward to your updates. Hello Eisha, refined coconut oil has varied quality. Some have a few or even only couple of antiviral compounds while some have smoky stench and others may be odorless. So, depending on the kind of refined coconut oil you're having. If you use Nutiva refined coconut oil which has antiviral property that is close to unrefined coconut oil, it should work pretty well for fighting flu and helping with cold. But the best option is still unrefined coconut oil since it guarantees a complete set of antiviral compounds. Hi Soon, I have read your article and I have few questions. I am 30 years old from India. My name is Arun. I have been suffering from constant cough since last 10 years. I am recetnlty operated for sinus. Begore sinus surgery I was hoping that the problem was due to sinus and it would go away after surgery. Though it was not the case. It has been 4 months after my surgery and I have no improvement in my cough. I visited my ENT again and explained him the situation. As per my doctor I am having chronic Acid Reflux. I work night shifts and sleep in day time. Before my surgery I was seeing a gastro doctor who had found me H Pylori positive during endoscopy testing. I was also diagnosed peptic ulcers. He gave 2 shots of antibiotics to eradicate H pylori which both failed but Ulcers were cured. Then I cotinued to use the PPI teatment for 3 months and I never failed any improvement in my cough. Now I am totally confuesd and don't know what should I do next. I uesd to smoke 8-10 cigratte earlier which I have completely stopped from last 2 months now. Can you pls suggest me what should I do about it?? I always feel somthing hard stuck in my throat and an urge to spit out. I keep coughing every 10 minutes. Is it due to any kind of flu or Acid Reflux.?? Is curing H pylori would help me to eliminite Acid Reflux symptoms? I have startd taking another antibiotic course 2 days back and I am also taking 1 tablespoon organic virgin coconut oil along with it. So far I have no side effects. Please advise. Hi Arun, acid reflux may not necessarily trigger cough. If you have done all necessary medical tests (plus surgery) that still could not pinpoint the underlying causes of your coughing problem, I'm afraid it's some profound damages (like infections) to your respiratory tract that trigger that. What you can do now is continue taking coconut oil and increase your intake of it progressively (and gradually to avoid adverse effect) until you hit 3–4 tablespoons per day. Coconut oil helps to expedite our body to repair damaged cells and tissues. But I can't give you a timeline as to how long your impaired respiratory tract will recover. You just have to be patient. Also, learn to eat more whole foods that contain lots of antioxidants. Plus engage yourself in some form of exercises to strengthen your lung functions. Jogging or power walking is good for that. Smoking definitely is the prime culprit in wrecking your lungs and other parts of your respiratory system. It will take up to 15 years or more before your body returns to that of a non-smoker condition. You reap what you sow. You treat your body badly, it will fight back by giving you lots of health problems. Having said all that, from now onward, learn to treat your body nicely. Stop smoking and quit any other bad habits like alcohol drinking, staying up late at night gaming, working or watching TV. Eat well, exercise well and sleep well. And your health will definitely return. I had a cough nonstop for two years. Mold in the air vents was my culprit. Even when I left my residence, (an apartment) I still coughed. Moved out of apartment to a new residence. No more cough, for 9 months now, cough free. Check for mold, at work or home! Hi Cindy, thank you very much for your great input. It's going to help a lot of people. I have never see someone wrote with such passion and detail like you did. Kudos to you. Do you mind if I share your writing so other may benefited from it? (of course with due reference given to you and your site). Hi Wei Loon, sure, go ahead to share my article. I wrote it to help people fight flu. The more people you can pass on, the merrier because more people will be able to stay healthy and fall sick less easily. You'll help them save a lot on medical bills too. Thanks for linking back to my site. I wanted to express my appreciation for your well written informative article on the values of coconut oil. Looking back, when I was consuming coconut oil regularly, and eating more alkaline, sickness was not an issue. I had never tried oil pulling with coconut oil with regards to soreness in the throat. I just did and the calming, soothing effects are AMAZING!! I'm incorporating your suggestions today on-wards as allergy symptoms seem to be affecting me this year. I appreciate oriental medicine's whole body approach to healing. I feel glad that my experience can help you. You're welcome, Debbie. Hi Shane, hope you found the info useful. Thanks for dropping by. Hope this remedy will improve my situation. Hi Rufo, taking virgin coconut oil on a regular basis can help improve your overall health. You can also add some to your meals to increase your overall intake of virgin coconut oil. It might help reduce inflammation that narrows your airways over time and hence, cut down on your asthma attack. Good luck! I'm usingKirkland organic virgin coconut oil but it makes my throat scratchy when I take it by spoonful. Same with olive oil. What could this mean? Thank you. Oh and today is Apr.11.2018 and expiry is Jul.13.2019. Hi Sabrina, virgin coconut oil is slightly acidic due to the release of a small percentage of free fatty acids. Same goes with olive oil. That's normal. Not a sign of rancidity. Which is why they "bite" your throat and make you feel scratchy when you take them by spoonful. This sensation will go away in an hour or two. If you don't like the scratchy feel, mix coconut oil with food or beverages.